Q. Where is the nearest bus-stop to Port View Guesthouse? A. The nearest bus-stop is only a few seconds walk away just down the road from the guesthouse. Q. How frequent do buses pass though Marsaxlokk? A. Buses going to Valletta pass once every 20 minutes from Monday to Saturday, and every 10 minutes on Sunday. Furthermore, there is a bus to the hospital which passes once per hour. Q. Where can we park our car? A. Parking near Port View is normally not difficult during the week. Parking is free of charge and there are no time restrictions. Private parking can also be used free of charge if there is availability. Q. What time can we check in? A. Check in time is between 12.00 pm and 7.00 pm. It is important to inform the hotel at the time of booking if check in will not be during these hours. Q. What time is the check out? A. Check out time is until 11.00 am. A. 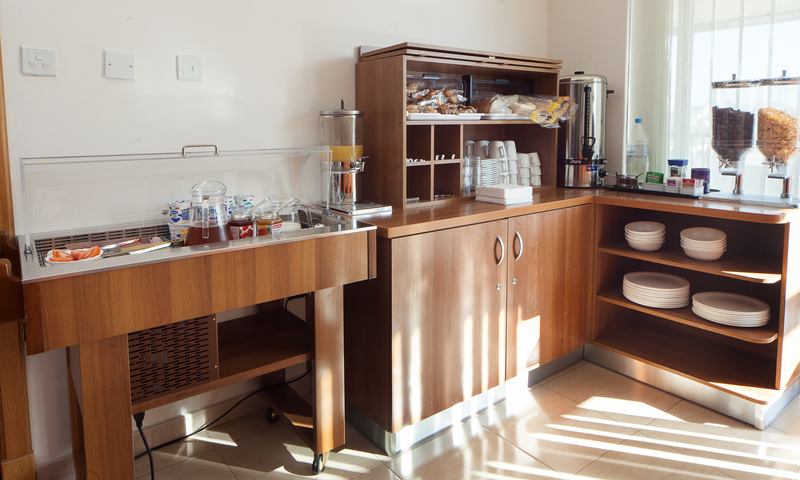 Breakfast is served from 7.30am till 10:00am. A. Free cancellation is allowed if the booking is cancelled more than 3 days before arrival. If booking is cancelled within 3 days of arrival, the full amount for the first night will be charged. In the case of a no show, the full amount for the whole stay will be charged. Q. How can payment be done? A. Payment is done upon arrival. Payment can either be done by cash, or by debit/credit card. Q. Are there any restaurants/cafeterias nearby? A. Marsaxlokk’s seaside, just a few seconds away from Port View Guest House, is full of restaurants which serve both lunch and dinner. The nearest sandy beach is a short 5 minute walk away. best ever guest house we have stayed in. nothing too much for staff and they made our stay wonderful. Are there mid range price restaurants serving generous portions, reasonably priced nearby? What is the coolest weather time of the year to come for a week? Your place looks wonderful. There are upwards of 30 restaurants just down the road from Port View Guest House, all with a different price range and menu. It is hard to keep track of weather in Malta, but it usually starts getting cooler at the end of October/ beginning of November.